The festive season, which is the most loved time in India, is just around the corner. From new clothes, brightly-lit streets, mouth-watering delicacies, the festive season is the time when you spend some quality time with friends and family. However, another important task that you have in your hand during the festive season is cleaning the house. Almost everyone is busy cleaning every corner of their home to make it festive ready. The problem, however, is festive cleaning is easier said than done. With a number of other things to do, cleaning the entire house is a tough task. To make your work easy, we list 5 cleaning tips that will help you prepare your home for the festive season. Read on. Without a proper schedule, cleaning your home will be next to impossible. This is the reason why you need to prepare a cleaning schedule. As it is next to impossible to clean the entire house in a day, prepare a schedule on which part of the house you plan to clean on a particular day. 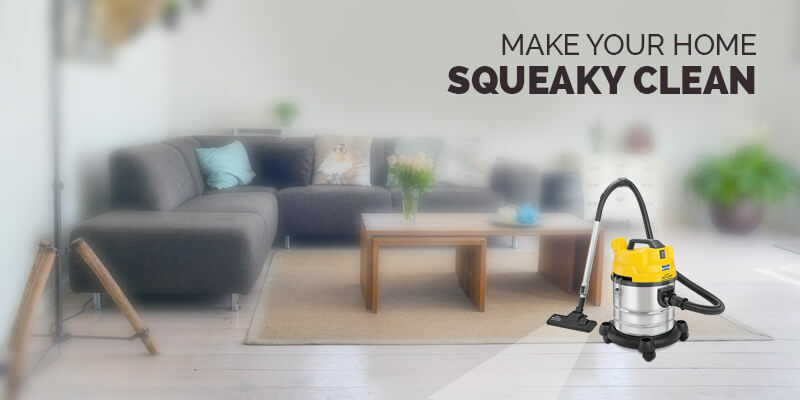 This will make it easy to clean your home without any problems, especially if you are working. Another important thing that you need to keep in mind is to prepare an area where you can keep all the trash that you plan to dispose of. This will help you keep your home organized even during festive cleaning. The next step is to you declutter the home before you start the cleaning process. A cluttered home makes the cleaning task not only difficult but also time taking. Remove any unwanted items that you don’t need before you start the cleaning process. Starting with clothes, to expired spices in the kitchen, make sure you clean everything that you hoarded and don’t use. Cleaning the carpets and sofas are the toughest, especially if you do it manually. So, instead of using the traditional methods of using a cloth and detergent, get a powerful vacuum cleaner. To make your work easy, go for a wet and dry vacuum cleaner, which not only removes dry dust but also helps in cleaning wet spills. 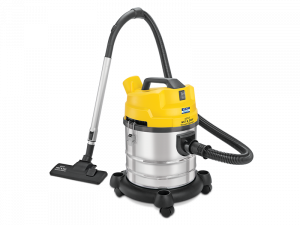 The Wet and Dry Vacuum Cleaner from KENT has a high-efficiency motor with a strong suction force which makes it easy to clean any type of wet spills or dry dust. This is another common mistake that many people make. Even if you use the best vacuum cleaner, without the right cleaning product, festive cleaning will be a difficult task. Go for a cleaning agent that makes it easy to clean the cabinets or shelves without using too much time. Investing in a good product is always a good idea to make the cleaning process simple and easy. When you start with the cleaning process, make sure that you target one area at a time. Dividing the area will ensure that you clean each area of your home thoroughly without rushing. Depending on the amount of time that you have, you can plan to clean the small spaces one day and other spacious areas when you have more time. Those were some of the easy tips that you can follow to make the festive cleaning. 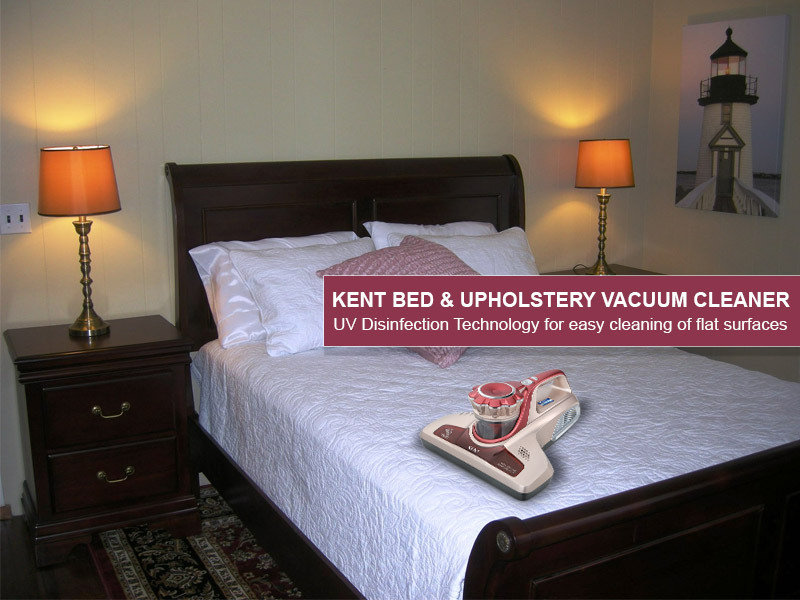 In addition to the tips mentioned above, make sure you use a good vacuum cleaner, such as the one from KENT to make your cleaning task easy and convenient. To view the range of vacuum cleaners, click here.